In a hackable city, new media technologies are employed to open up urban institutions and infrastructures to systemic change in the public interest. It combines top-down smart-city technologies with bottom-up ‘smart citizen’ initiatives. The Hackable City is a research project on the role of digital media in the process of citymaking that resulted from cooperation between One Architecture and The Mobile City Foundation. The project investigates the opportunities of digital media technologies for the empowerment of citizens and other stakeholders in a democratic process of citymaking. 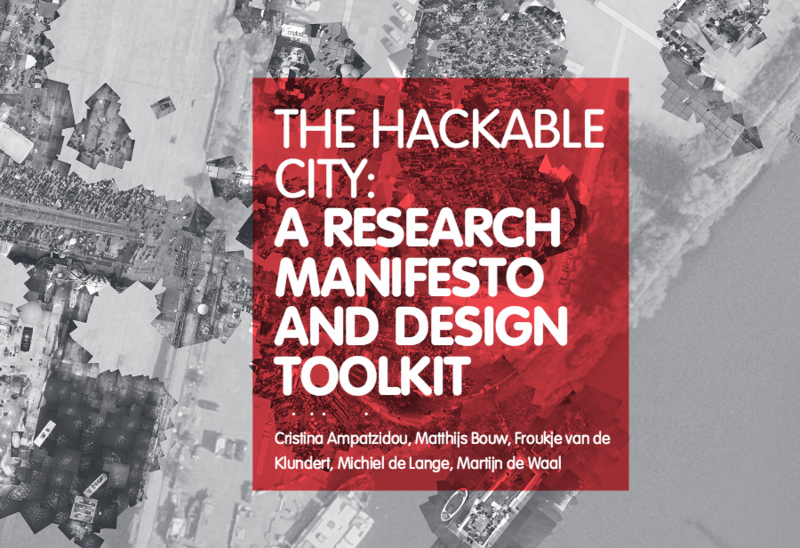 This book aims to offer a closer look at the implications of ‘hackable city making’ in the form of a Hackable City Research Manifesto and a ‘hackable city toolkit’. This toolkit could give designers, policy makers and citizens a number of ideas to approach projects that they might be working on, providing also a number of strategies to include in their projects.